DEVELOPMENT in Brickfields has mainly been concentrated on KL Sentral, although lately other industry players, such as Bina Puri Holdings Sdn Bhd, Syarikat Prasarana Negara Bhd and Primamuda Holdings Sdn Bhd, have turned the focus elsewhere in the area with proposals for mixed-use developments. Through a joint venture, Bina Puri Holdings and Syarikat Prasarana Negara are planning to bring to the neighbourhood a mixed-use development project in Jalan Tebing known as Rivo City. This will include small offices/versatile offices and serviced apartments. According to Brickfields Rukun Tetangga chairman S K K Naidu, the committee is awaiting notice of objection to the development. He says the area has no space for additional roads and cannot handle another massive development. 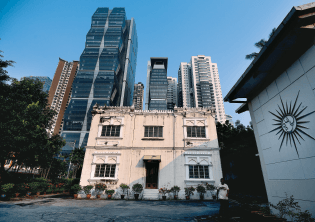 Meanwhile, Primamuda Holdings has acquired the former Brickfields district police headquarters site in exchange for building police stations in Jalan Travers. The developer is planning to redevelop the site with serviced apartments and two office blocks. As for the redevelopment of the 100 Quarters in Jalan Rozario and Jalan Chan Ah Tong, formerly the homes of the employees of Malayan Railway, MRCB is planning three blocks of serviced apartments there, which has been opposed by residents because of the traffic congestion the project will cause. MRCB declined to confirm details of the project which is still pending approval. 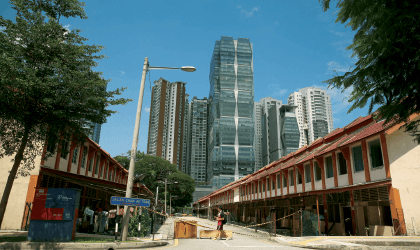 According to Naidu, the committee has made several proposals to the developer, including retaining some design element of the old quarters, keeping the Chan Ah Tong field accessible to the public as a park and allowing public access to the multi-storey car park in the proposed development. Next to the quarters sits another site for redevelopment, where a residential tower is to take over the 110-year-old Vivekananda Ashram. The project, to be undertaken by F3 Capital Sdn Bhd, has provoked a public outcry. The Department of National Heritage has, under section 33 of the National Heritage Act 2005, applied for an interim protection order to protect the site until the outcome of the department’s application to gazette the structure as a heritage building is known. Other ongoing developments in the area include apartments under PR1MA on 3.6ha of government reserve land in Jalan Thamby Abdullah 1. Additionally, YTL Land & Development Bhd has proposed a mixed-use development on a piece of vacant land in Jalan Tun Sambanthan 3, says Siders. So, will the upcoming high-density developments blur the dichotomous nature of Brickfield’s landscape, when the old structures that once gave Brickfields its identity slowly slip away? Only time will tell. This article first appeared in City & Country, The Edge Malaysia Weekly, on February 2 - 8 , 2015.